We don't just 'care for' people. We support people to care for themselves. We promote independence by enabling people with the confidence and the skills to take control of their life. No one size fits all. Every wellbeing plan is designed around your choices and preferences, and interventions are adapted as we learn what works for you. We understand that this stage in your life can be scary, and challenging. Whatever has brought you here, we show thorough compassion and empathy, offering a hand to help you through the storm. 4. You choose your team! We use support matching tools to find workers who have the correct training and experience to support you, you will then choose your core team from a selection of 1 page profiles, or video introductions. If you find that you and your team don't 'click', we will endeavour to swap things around, no questions asked. When you are suffering from mental distress, being in unfamiliar environments can be very unsettling. We are community based, and can support you from home, keeping you out of hospital. Support changes with you. We don't like set in stone 'slots' of care, we like to be as flexible as possible to meet your needs on a day to day basis as-and-when things change or arise. We measure our success by the achievement of outcomes, not tasks completed. We offer a variety of services, and work in partnership with other organisations to ensure that you receive the right support at the right time. You can try different methods of support, therapies, and activities until you find what works for you. Our teams are well supported and appreciated. We offer good pay, high quality training, and one-to-one coaching and mentorship. We invest in the people who work for us, so that they can lead long and fulfilling careers with the charity. We remove mid-level management and operate self managing teams, this allows us to provide high quality services at a lower cost. Profits made from both our care and support services, and our training is then re-invested into our community projects, to help people who may otherwise be ineligible for funding. Rosie is a 27 year old woman with a young child and a history of depressive episodes. She was monitored closely throughout pregnancy due to her history, but found the direct questioning about her emotions to be quite impersonal and threatening; This gave her a great deal of anxiety about returning for check-ups. When the baby was born Rosie felt that she couldn’t bond with her child, she had an abusive partner, and little support from family. When the health visitor came to check up, she asked a set of questions about how Rosie was feeling, her attachment to the baby, and if she had any feelings about harming herself or the child. This tick box exercise caused Rosie to disengage with services, terrified that the child would be taken away. The relationship with her partner became worse, and so did her depression. Her isolation prevented her from gaining adequate support from peers. Upon the break-up of her relationship, Rosie became suicidal – but struggled to open-up to services about how she felt. The GP prescribed anti-depressants and asked her to self-refer to a charity providing talking therapies. Following a telephone consultation, she was placed on a waiting list where she unfortunately wasn’t seen for 5 months. In this time Rosie hit crisis and attempted suicide, her daughter was taken into a foster placement until Rosie could prove well enough to take care of the child. Investigation showed that Rosie had been severely self-neglecting, as well as neglecting her child. Her property was in squalor, and herself and her child were malnourished. Valued Lives could have intervened at many opportunities leading up to Rosie’s unfortunate situation. If Rosie had felt at this time that she required additional support, she could have received a light support package, that included the use of a support coordinator: A wellbeing worker who would design a community support network for Rosie. This would have offered her support from peers and other services of her choice, that were appropriate for her level of need at that time. This could have been paired with a wellbeing worker that she could meet for 1.5 hours a week, who would act as a mentor throughout her pregnancy, and be there for emotional support when needed. A wellbeing plan would be created to maintain Rosie’s wellbeing, using the 5 ways to wellbeing. Valued lives would have responded to Rosie’s need for help within days, had she have had a face to face assessment, the severity of her illness may have been easier picked up. As well as doing all that is outlined above, her chosen familiar and stable team, could regularly visit Rosie at home to provide ongoing support to ensure that Mum & Baby are well, this would be important when times get tough. The community support network would have promoted social inclusion. Rosie would also have access to the 24/7 support line and emergency response, in case she ever felt she required it. Valued lives would have worked well in Rosie’s situation for a number of reasons: She could choose her own wellbeing workers – making it less likely to shy from intervention. Her wellbeing would be improved through the use of meaningful activity planning, social inclusion, and life coaching from her wellbeing workers. The 24/7 crisis line would have responded to her if she had of had feelings of hurting herself. Chris is 23, he left the army on medical suspension following a post to Afghanistan. Chris has been suffering with post-traumatic stress disorder, he has had psychotic episodes which appear to be brought on following drug use and long stints without sleep. During such episodes Chris has been known to become confused, feel threatened, and become violent towards those around him. This has led to a relationship breakdown with the mother of his children (age 2 and 4), resulting in him moving in with his mother. Chris was hospitalised following an attack on his mother where he claims he heard bombs before blacking out. During this period as an inpatient he was stabilised through medication, and discharged into the care of Valued Lives. The priorities for Chris’ care package is to rehabilitate him into civilian life, supporting him to stay clear of street drugs. Chris’ Mum must be safeguarded from further abuse, and will be staying with her sister temporarily upon Chris’ discharge. Due to a high risk of relapse, and the unsettling move from inpatient care to supported living, upon discharge Chris receives a substantial package of care for the first 14 days. Chris is matched with support workers Dan, Mike, and Tracey, who will work in partnership with Chris’ CPN to monitor his progress upon returning home. A wellbeing plan is created that focuses on short and long term goals. Short term is to complete his detoxification that started whilst admitted, and to have 7 consecutive nights of 6 or more hours sleep. This allows for earlier discharge: better for Chris, but also cutting costs of prolonged admission. Longer term goals are to be well enough to see son Josh and Daughter Millie, regain employment, and move into a property of his own. Chris is re-assessed by the CMHT at the end of the 14 day period, and is considered stable on his current medication regime. Mum returns home, and Chris’ support is reduced to 2.5 hours per day. A crisis plan has been devised, which includes signs and symptoms that Chris is approaching crisis, techniques for him to self manage, and techniques that others can use to support. Chris and his Mum make use out of Valued Lives 24/7 on-call service, which will respond any time, day or night, if he was to become severely distressed. Chris is seen by an associate therapist who provides him with regular sessions of CBT. Elements of behavioural change are embedded in his support plan, which enables Chris to monitor and control his behavioural triggers, with the aid of his wellbeing workers. Chris’ Wellbeing plan introduces a range of wellbeing tools, including coping strategies to diffuse situations that cause distress. The reintroduction of physical exercise has helped dramatically, running has proven to be a positive way of dealing with stress. His wellbeing plan is now adapted to include another goal: Complete a marathon to raise money for the ‘help for heroes charity’. Chris has been receiving coaching around relaxation techniques and sleep. He now finds winding down in the evenings much easier, and has adopted a healthy sleeping routine. Chris’ ongoing wellbeing plan is based around emotional support, enablement and life coaching, and activities that promote social inclusion – things that Chris enjoys, and which keep him well. Chris has now noticeably improved, his medication has been reviewed and reduced, and his support now includes elements of career planning and job seeking. His support workers have assisted him with CV building, and interview techniques, and he has been making use of the availability of courses run from Valued Lives Training centre. We are a new and innovative non-profit organisation in Cornwall, who work with individuals to stay well, and lead fulfilling lives within their communities. We are currently undergoing the application process with CQC, so cannot deliver services involving personal care until the end of January, however, we are taking referrals for non-personal care services. Ella was a 75 year old lady who had Alzheimer’s disease. She was referred to us by her GP shortly after receiving diagnosis. At the time she was still very able. She had little family locally, and there was concerns around Ella’s wellbeing and risk of self-neglect should she continue to live completely independently. 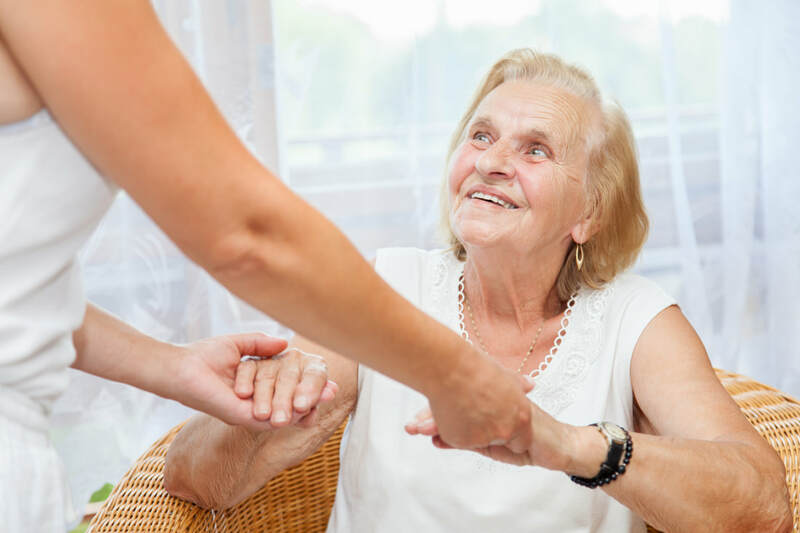 Where a person in her position may normally be provided with 2-3 ‘slots’ of domiciliary care to ensure her basic needs are met, Valued lives could offer so much more. Ella’s wellbeing workers gave her emotional support to help her to deal with her diagnosis. They worked with her to create a wellbeing plan that was effective and person centred, enabling her to re-start gardening and church coffee mornings – these activities were meaningful to her, but she had ceased to pursue them following the death of her husband. They designed her community circle to maintain her connections within her community, and gain a more substantial support package. Due to the nature of Ella’s disease, Valued Lives worked with her and her daughter to develop a forward plan that would be put into place when Ella starts to deteriorate. This stated how Ella would like to be supported, and by whom. It was very important to Ella that the same small team supported her, as new people entering her home made her anxious, and she worried that this would only become worse as her condition deteriorated. The plan included how Ella would like to receive care at palliative stages of life, and following death. The subject was of course, approached in a compassionate and dignified way. Ella chose how she would like to be kept comfortable and supported, which included listening to music by Buddy Holly and Ray Charles, and having the company of her Dog Jessie. Ella’s wellbeing plan used a ‘step up approach’ to meet Ella’s needs at each stage of her journey. Her consistent team of wellbeing workers ensured that her independence was maintained for as long as possible, but supported her through all stages of her journey. Valued Lives worked well for Ella, because she got to stay at home with Jessie, and live out her remaining time the way that she wanted, surrounded by those she cared for. It prevented hospital admissions, which would be very confusing for her. The familiarity of her surroundings and her wellbeing workers was beneficial to her remaining well for longer. Valued lives helped support the family when Ella became palliative, and continued to support them following her passing.